Symbol employs the services of consultants that are specialists in their respective fields. This enhances the service that Symbol provides its clients. Robert has over 25 years’ international experience in corporate communications, both as a consultant and in senior in-house positions. His expertise covers corporate reputation, issues & crisis management, investor relations and media training. A lawyer by training, he specialises in advising companies on communications for high stakes situations such as takeover bids, restructurings, divestments, and IPOs. Robert began his career in London with Biss Lancaster and City & Commercial Communications advising clients such as Woolworths, TSB and ANZ. He then spent eight years with Prudential Corporation, the UK’s largest insurer and institutional investor, latterly as Head of Corporate Affairs for Australia. 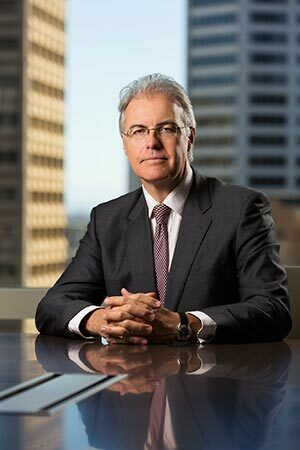 He returned to consulting as a Director with The Rowland Company and then with Edelman, advising clients such as AAPT, BankWest and Royal & SunAlliance. He holds a degree in Law from the University of East Anglia.